Some diseases are characterised by the aggregation of peptides or proteins, and it is imperative to identify new targets for therapeutic intervention. This is what inspired Sourav Ray, a researcher with the IITB-Monash Research Academy, to work on a project titled, ‘Aggregation of frog peptides: a model for amyloidogenesis’. Amyloidogenesis is a polymerisation process in which soluble proteins misfold, or fold in a warped manner, explains Sourav. The main reason for this is amino acid mismatch in a protein sequence. This initiates the formation of soluble aggregates, and, eventually, insoluble, fibrillar amyloid. “Most animals have innate immune systems that comprise peptides. 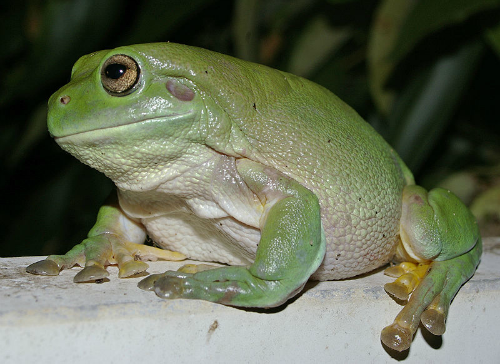 We have studied the peptides secreted from the Australian tree frog, and discovered that in addition to antimicrobial action there are also peptides that aggregate to form insoluble amyloid fibrils. These aggregates are very similar to the deposits found in the brains of patients with Alzheimer’s,” he adds excitedly. The IITB-Monash Research Academy is a collaboration between India and Australia that endeavours to strengthen scientific relationships between the two countries. Graduate research scholars like Sourav study for a dually-badged PhD from both IIT Bombay and Monash University, spending time at both institutions to enrich their research experience. Sourav—who has earlier undertaken short-term projects at National Institute of Virology (Pune), Institute of Genetic Engineering (Kolkata) and, Indian Biosciences Research Institute (Noida)—is working under the supervision of Prof Ajay Singh Panwar and Prof Lisa Martin.